HRS Racing formed of brothers, Danny & Kurt Russell have been racing with RHPK/EPS for a couple of years now. Matt Atkins, based in Woking is an Electrical engineer and his Dad, a Doctor. They both got the karting bug when they jumped in and had a go of the HRS Racing kart in 2015. 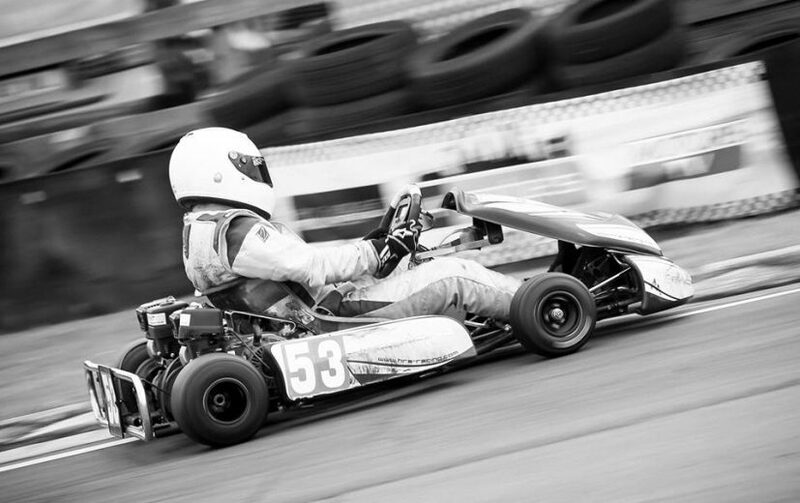 Shortly after, father and son went out searching for a kart and found a very clean 2009 MS. After getting to grips with the kart and a string of DNFs their luck changed and went on to put it on pole position on a very wet track at Clay. It’s fair to say that HRS Racing 1 have had a troublesome season this year and in July decided to sell their Biz Kart. Danny went onto join the team, HRS Racing 2 alongside Matt & Mark Atkins. In July we saw a very different team. Qualifying 7th overall, 3rd in class. In the early stages of the race the team were mixing it up at the front, by lap 36 they were 5th overall and had a great scrap between Lambo Racing & Team Karting Magazine. They went onto finish in 12th place overall after a small racing incident which cracked their seat stays! Before the incident, a podium looked certain. A very strong mid-season performance jump for the team and as a result have been promoted to Super for the remainder of the season, they will be sport their new Super number – 19 from Augusts round. We want to congratulate the team for their new found pace and promotion as a result of Julys race by awarding them the July 7Kart Prize. Well done guys! HRS Racing 2 win Julys 7Kart prize which entitles them to free morning practice on a chosen round.